The end of Roe v. Wade is coming. How will you prepare? 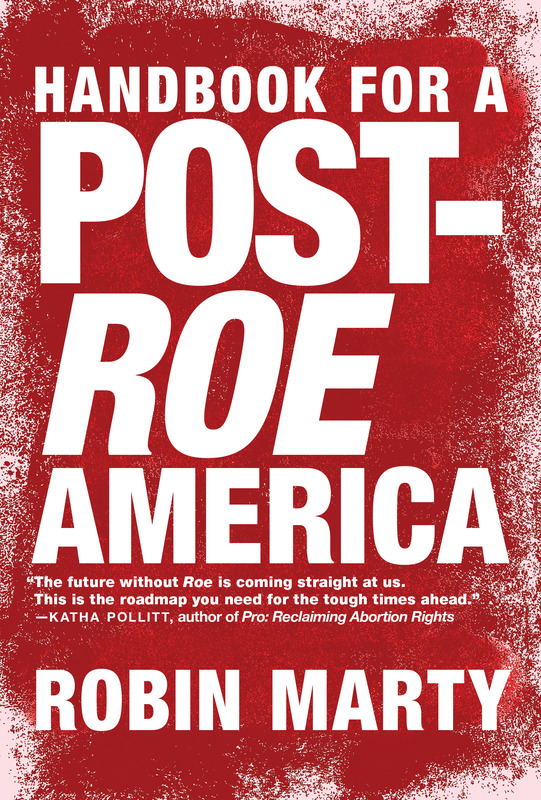 Handbook for a Post-Roe America is a comprehensive and user-friendly manual for understanding and preparing for the looming changes to reproductive rights law, and getting the healthcare you need—by any means necessary. Activist and writer Robin Marty guides readers through various worst-case scenarios of a post-Roe America, and offers ways to fight back, including: how to acquire financial support, how to use existing networks and create new ones, and how to, when required, work outside existing legal systems. She details how to plan for your own emergencies, how to start organizing now, what to know about self-managed abortion care with pills and/or herbs, and how to avoid surveillance. The only guidebook of its kind, Handbook for a Post-Roe America includes an extensive, detailed resource guide for all pregnant people (whether cis, trans, or non-binary) of clinics, action groups, abortion funds, and practical support groups in each state, so wherever you live, you can get involved. With a newly right-wing Supreme Court and a Republican Senate, Roe is under threat. Robin Marty observes: "When we say abortion will be illegal in half the states in the nation, we are no longer talking about some hypothetical future—we are talking about just years down the road. We have to act now to secure what access remains, shore up the networks supporting those who need care, and decide what risks we are willing to take to ensure that any person who wants a termination can still end that pregnancy—with or without the government's permission."